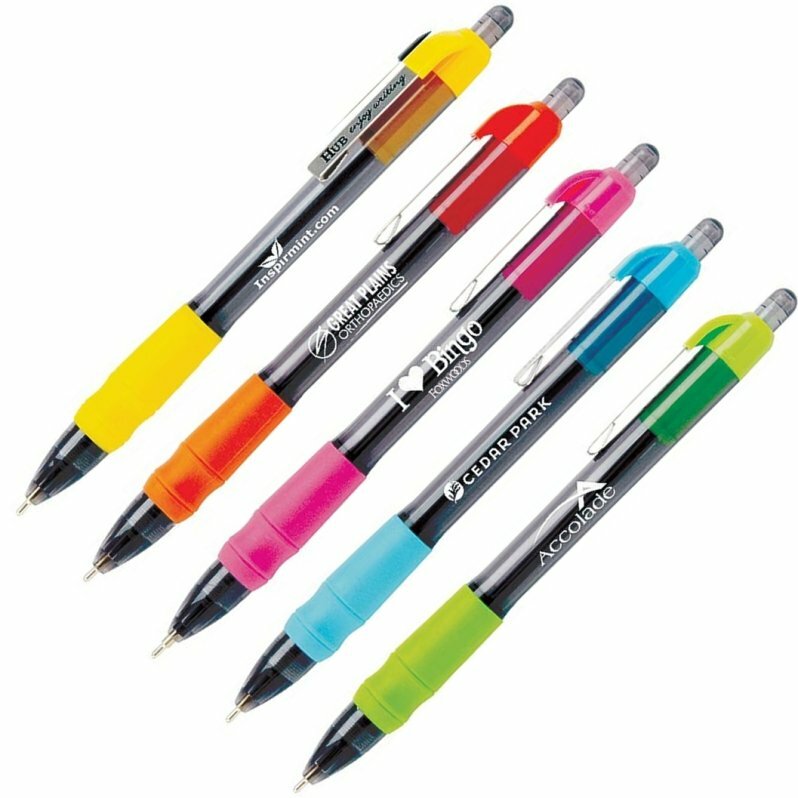 Get a logo printed on MaxGlide Tropical Pens as cheap logo pens. Apps include cheap promotional items, trade show pens, more. Hot Pink, Sky Blue, Lime Green all pens w/ Metal Clip. Normal delivery from date of pen order 2 to 3 weeks. Price includes a one color print on barrel area 1 5/8" w x 1/2" h.
Factory setup charge $16.00. Cheap pens 1 color print Only.